Workers won their jobs back with a three-week strike, but then got fired all over again. The National Labor Relations Board has issued a complaint against four companies involved in staffing and managing Walmart’s largest distribution center in the United States. The NLRB complaint—similar to an indictment—alleges that the companies repeatedly threatened and punished warehouse workers for labor organizing, including by firing activists involved in a September strike that helped to inspire November’s Black Friday retail walkout. “They had targeted the organizers ever since we got back to the warehouse,” Philip Bailey, one of the fired workers, told The Nation Monday. 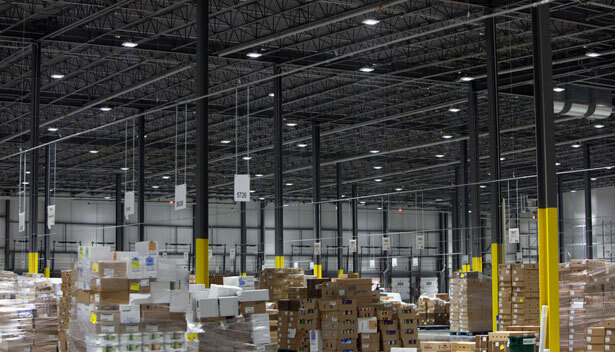 The Labor Board complaint, issued February 28, alleges that in order to discourage the Elwood, Illinois, warehouse workers from organizing, managers from the four companies—Roadlink Workforce Solutions, Skyward Employment Services, Select Remedy and Schneider Logistics—repeatedly broke the law. This included illegally threatening workers with firing or arrest; punishing employees by cancelling their breaks and increasing their workload; making workers believe they were under surveillance; and terminating six activist workers on November 10. Walmart did not respond to requests for comment; neither did Walmart contractor Schneider Logistics, which directly or indirectly employs the other three defendants. Walmart itself is not named as a defendant in the complaints, which come as the retail giant faces heightened scrutiny and scattered protests over conditions throughout its supply chain. The Elwood distribution center plays a key role in that chain, and has recently become an epicenter of worker activism. Organizers say that 70 percent of Walmart’s total imports to the United States travel through the Elwood facility, which is owned by Walmart. Since 2011, some employees in the non-union facility have been organizing with the Warehouse Workers Organizing Committee, a group backed by the United Electrical, Radio and Machine Workers of America (UE) union. Bailey told The Nation that workers were driven to organize by low pay, disrespectful management and unsafe conditions. When he started, said Bailey, “there really wasn’t a day in there where wasn’t an injury.” When one worker “got his shin busted open by a cart,” he added, management “made him drive himself to the clinic” and return to work the same day, while medicated. In September, the same week as their counterparts at a Walmart warehouse in California, three dozen Elwood workers went on strike. Their three-week work stoppage included a rally and community civil disobedience action which caused a temporary shutdown of the distribution center. The Elwood employees won perhaps the most concrete victories of the past months’ wave of Walmart strikers: contractors re-hired workers who strikers alleged had been fired for organizing, and paid all of the strikers’ full wages for their time on strike. Bailey, who was among the workers who won his job back during the strike, said that when he and his co-workers returned to work, “people were pretty inspired to see that you could take action and keep your jobs.” Certain safety issues were fixed, and “the managers were certainly a lot more polite, for a while anyway.” But at the same time, charged Bailey, “they were certainly trying to get the organizers out of the warehouses” once again. The second week in November, Roadlink fired Bailey for a second time; he told The Nation that he was falsely accused of affixing union stickers to surfaces at work. The NLRB complaint alleges that Roadlink and Skyward terminated workers “in order to discourage employees” from taking collective action. Three more firings followed workers’ November 17 delivery of a petition demanding living wages, workplace safety and an end to retaliation. Fried, of the UE-backed WWJ, told The Nation that she has been told the NLRB is reaching out to Roadlink about negotiating a settlement to reinstate fired workers. The NLRB is the main federal agency charged with interpreting and enforcing labor laws covering private sector workers. Charges against unions or employers trigger investigations; if sufficient evidence is found and no settlement is reached, the NLRB General Counsel’s office issues a complaint. Defendants can contest the allegations in a hearing before a judge, and appeal any ruling to the NLRB members appointed by US presidents, and to federal court (in addition, a January DC Circuit Court ruling has inspired some companies to contest the legitimacy of unfavorable NLRB rulings). The Elwood case is among dozens of Walmart-related charges currently before the Labor Board. Healthcare workers, in hospitals and in homes, operate under notably unhealthy conditions. Read Bryce Covert’s analysis.